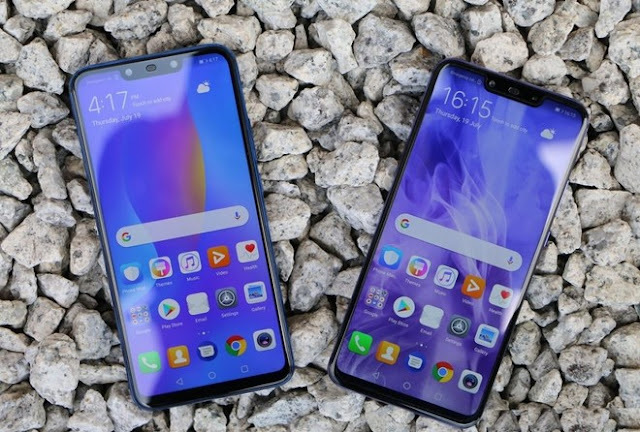 World’s second largest smart phone market – India, is ready to fly high as Huawei’s Nova and Nova 3i lands on the grounds. Both the mentioned devices are exclusive to Amazon and will be available from 7th August. Hurry! Pre-bookings starts today. The Huawei Nova 3 flagship is in disguise. With a screen of 6.3” Huawei Nova 3 has 1080p+ resolution and a notch. Equipped with Kirin 970, the smart phone is paired with 6GB of RAM and 128GB storage capacity. By the specs we can say this is P20 with larger view and increased RAM. Just for INR 35,000 ($510) you can have a 24MP shooter with a 2MP secondary camera that has the power of depth sensing. You do get a fine selfie camera that will definitely fulfill all your desires you have ever wished to. Don’t forget it has 3D face scanner also. The latest sibling Huawei Nova 3i is empowered with the AI-focused Kirin 710 chipset. This smart phone has a notched 6.3” screen with 1080p+ resolution and 128GB storage same as the predecessor with the respectable 4GB of RAM. With such greatness this smart phone competes with P20 Lite for INR 21,000 only. For the photo lovers it has the same 16MP + 2MP combo, though the 24MP + 2MP selfie camera doesn’t quite match the 16MP + 24MP camera of the Lite. The chipset upgrade is must, however, you will have the increased storage with 3i.